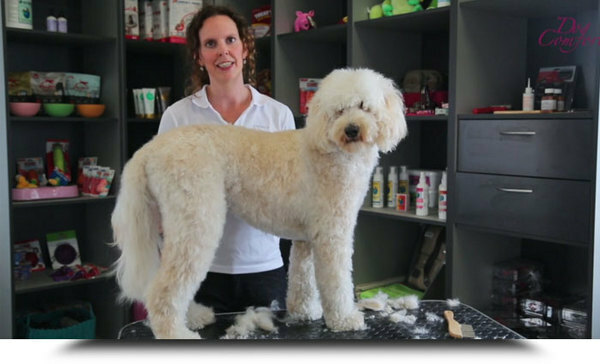 Do you want to learn everything there is about grooming your Doodle like a pro, in a natural, fluffy way? 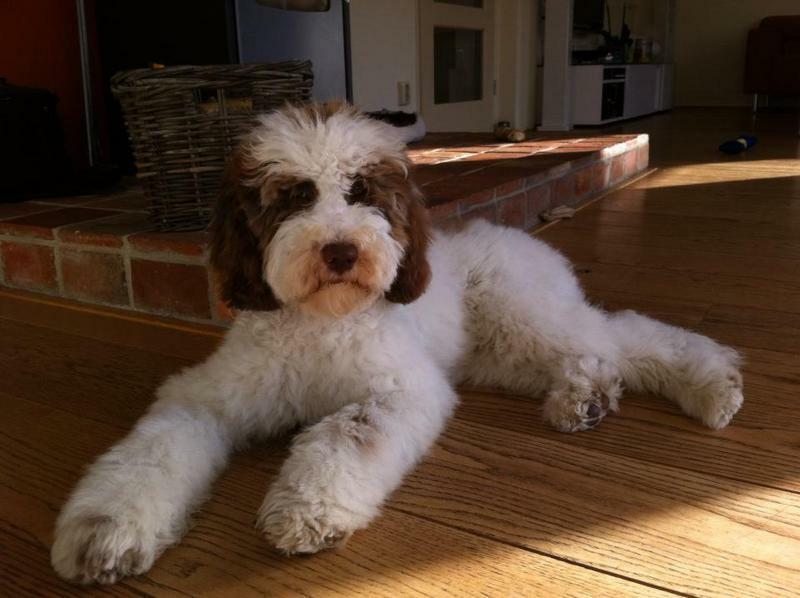 Are you totally committed to grooming your Doodle yourself and taking its wellbeing in to your own hands? Introducing to you the FIRST EVER online Doodle Grooming Program especially designed to help you groom your Doodle like a pro, in a naturally looking, fluffy way...in 7 easy to follow steps. You will learn it all! 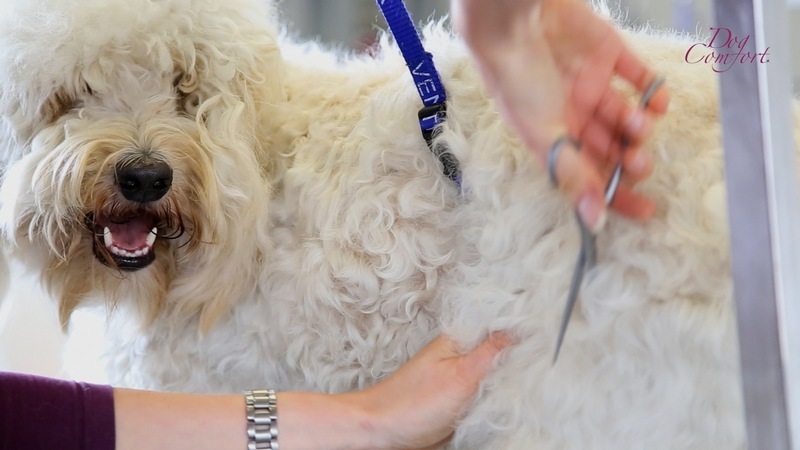 As you may have experienced by now: most groomers don't know how to handle Doodle coats the right way, leading to all sorts of experimental looks, Poodle grooming or often shaving too short for your liking. This program will help you to never have to depent on a groomer again, saving you a lot of money, travelling time and expenses, but above all...a lot of frustration. This one time investment will help you get everything you want! Every step includes extra grooming tips for an even better result. The grooming style is based on a natural look: no shaving, no flat nose, no air shaft from ear to ear, just using the best professional grooming equipment to make your Doodle look its very best, the way Doodles are supposed to look. To get the perfect grooming result (the natural, fluffy, true Doodle look you love) you will need the right professional grooming equipment. This make all the difference! 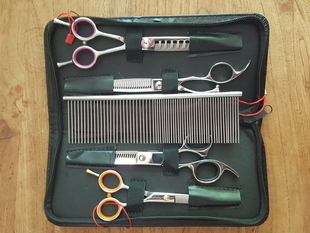 So choose the Plus option and receive not only the step by step instruction video's, worth $ 247, but my special grooming equipment too, NOT AVAILABLE ANYWHERE ELSE. All nicely and practically packed in a lovely faux leather black purse. AND this professional grooming set, especially selected for Doodle coats. will be sent to your home without extra shipping costs! You won't be able to get this quality grooming equipment for this little money ANYWHERE ELSE! 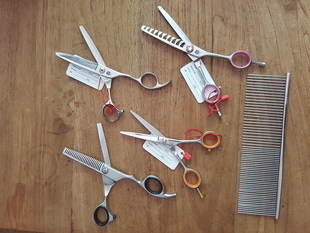 Next to a lifetime access to the instruction video's and the professional grooming equipment you will get access to a special FaceBook Doodle grooming Elite group where you can post your photo's, questions and receive feedback from me and other participants (priceless). This way you can get coaching whenever you want and keep improving your grooming skills. 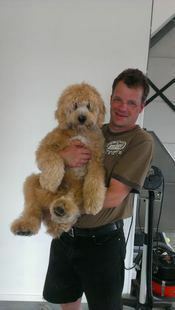 How much does it cost to have your Doodle groomed on a regular basis? 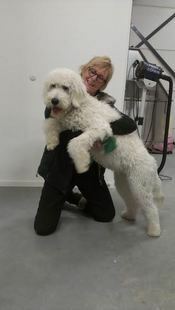 As a dog with a coat that needs to be groomed every 2 months to keep it healthy and tangle free, with grooming costs varying from $ 70 to $ 200, depending on location and groomer, your Doodle costs you about $ 600 a year to get groomed properly (if that's even the case). Fair enough, if you want to start self grooming your Doodle you will need to learn how and buy the right grooming equipment, including a stabile grooming table. This can cost you over $ 1000 to do it right! That's too big of an investment for most owners. BUT if you do the math, figuring that your Doodle will reach the age of 15 years, having it groomed every 2 months will cost you over $ 9000!!! That's a fortune in the long run...so learning to do it yourself in the right way and buy the right professional equipment that will last years will actually save you thousands of dollars in the life span of your Doodle. And what if you own multiple Doodles? Then the equation is easily made. 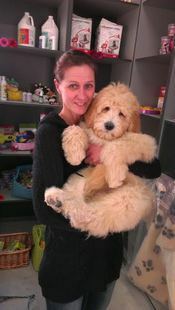 And make you the best Doodle parent ever! 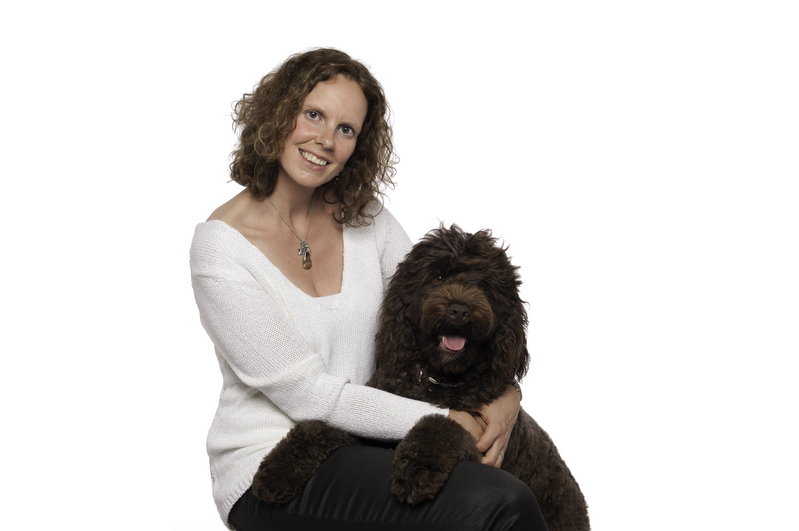 These are some of the testimonials of the hundreds of Dutch Doodle owners that did my (online) workshops. 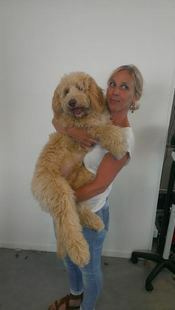 We had brought our Labradoodle Indy to a dog grooming salon once, but noticed how unhappy she was there. And considering the fact that her coat needs to be groomed every two months, we did not want to put her through this any longer. So we decided to do it ourselves, also in recommendation of the breeder who said that grooming your dog yourself strengthens the bond with your dog. The instructions in the video’s are good and clear. The extra information texts in the video’s are especially helpful. The instructions by Wanda are top-class and the end result is wonderful! I would recommend the workshops, because you learn the basics and gain trust to get at it yourself. To do the grooming yourself saves you a lot of money! After the workshop we were left with the trust, the tricks and the materials and we are super happy about that! These are very nice and instructive workshops! From brushing to cutting the feet between the toes, to cleaning/plucking the ears, I have learned it all. And having the right equipment helps a lot! Even if I say so myself, the grooming is going better all the time and I am starting to become more skilled! 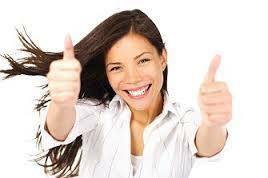 These workshops are recommendable! Top-class workshop! I could not come up with it all by myself! It was rather exciting to groom my dog myself, but the clear directions of Wanda make it easy and fun. It is clear that Wanda knows what she is talking about ;) I could not have come up with these tricks myself; which position is best, what you can cut away to get a nice model and also what not to cut and why! Although not everything is nice for the dog, he does get used to it, I can let him play in between sections and that makes it easier for him in the long run. Besides it is very nice to strengthen the bond to work like that with your dog. The Doodle grooming video’s are really recommendable! Now I need to practise a lot, so that I can maintain my Doodle myself! 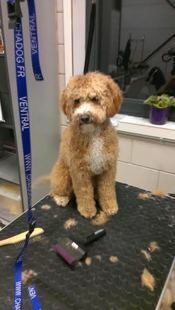 The very best way to get your Doodle looking the way you love is learning how to groom him yourself. This program will teach you exactly how to do that with confidence and ease. And saves you a lot of money on grooming costs in the short and long run! So order now and start grooming!